After a wet winter and equally wet start to 2016, work on the new Waypoints dementia care home in Cale Park was suspended pending improvement in the weather conditions. Although the initial foundation work had been completed on schedule, the overall site was a quagmire, making working conditions very difficult. At that time Waypoints Managing Director Andrew Baxendine said that he hoped that work would resume in late spring, when it was hoped that weather conditions would be more favourable and the site had dried enough to allow work to proceed. Under any circumstances a decision to suspend work on a building site is a bold one, but usually comes with logistical challenges, especially if you are using outside contractors. Faced with the sudden halt in work the contractors found alternative work to keep their workforce productive during the Wincanton site downtime. 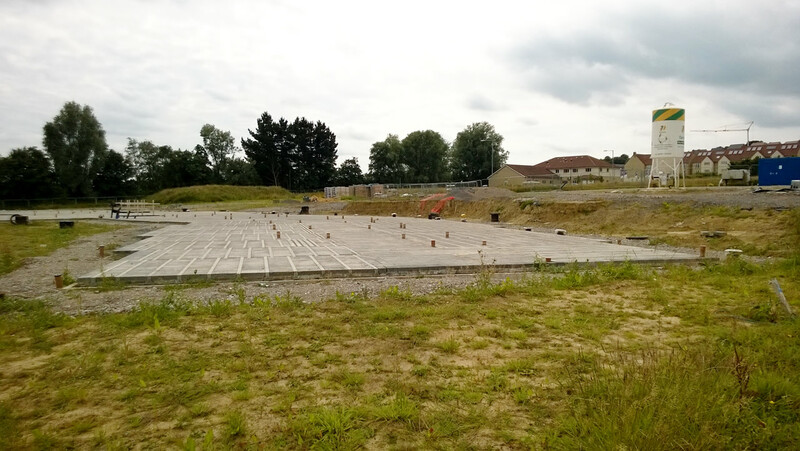 Engaged in work elsewhere, the contractors need to complete these other commitments before returning to the Wincanton site, even though the weather has been much better and the site conditions have greatly improved.